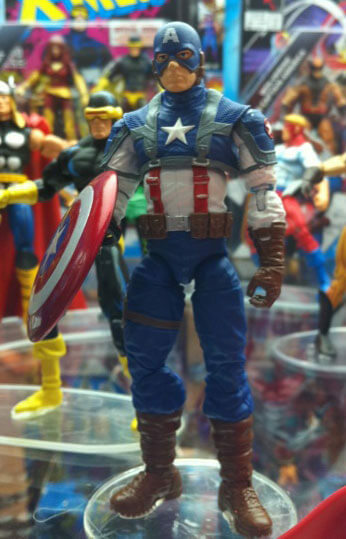 So this is the Captain America Movie Figure that will be hitting store shelves in time for the film, as revealed by Hasbro last week at SDCC. Looks cool to me! It will join my shelf of Cap stuff. I still miss the wings on the side of head. I hope that they will decide to paint some on during the filming. So who wants a Plasticman with their McNuggets?